Individual and corporate clients: personal attention with no outsourcing, no templates, no one-size-fits-all approach. A full consultation, customized service, and clear communication at every step to meet each client’s budget and goals. Let the Experts at Top of the Stack Resume Work for You! Top of the Stack Resume was founded with one goal in mind: to arm job seekers with the highest quality career documents via a personalized approach and a continuous dedication to staying on top of the ever-changing career industry practices. 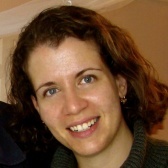 Nelly Grinfeld, company founder, brings 10+ years experience in the careers industry, along with a Human Resources background. Nationally Certified Resume Writer: With an insider’s view of what hiring managers are looking for, Nelly knows the right questions to ask, highlighting each client’s strengths and accomplishments while meeting industry-specific demands. Her dedication to continuing education in the ever-changing arena of career marketing allows her to consistently write concise, keyword-rich, attention-grabbing resumes and LinkedIn profiles that produce results for professionals at all levels. 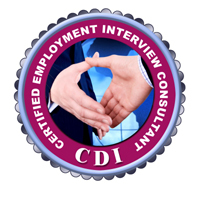 Certified Employment Interview Consultant: Nelly coaches clients from all industries and at all career levels to help them prepare for interviews. Her Human Resources background and direct experience in the hiring chair offer an insider’s view of what hiring managers look for. As business owner, coach, and head writer of Top of the Stack Resume, Nelly partners with motivated job seekers to create powerful career documents and help them get ready for interviews. Nationally Certified Online Profile Expert: Nelly’s deep and current knowledge of the ins and outs of LinkedIn allows her to craft powerful LinkedIn profiles for clients. Just as importantly, clients get the inside scoop on how to unleash the power of LinkedIn in their own job search. To maximize the positive impact on clients, Nelly has assembled a team of writers, coaches, and advisors who are fully prepared to provide outstanding client service. Bring power, meaning, and purpose to every sentence, bullet point, and section of your resume!